One thing that I really love doing in Summer is going round car boot sales. When I was younger I avidly hated them, but soon came round to appreciating all the vintage bargains to be had! So far this year, due to the weather, I haven't been to one single boot sale. I'm hoping this will change this weekend as I've had a big clear out and am hoping to sell a bazillion boxes of stuff I've been hoarding! I'm not planning on taking any cash with me, so anything that catches my eye will have to be funded by things that I can sell! That's the theory anyway! Some of my favourite vintage goodies have been bought from car boots, charity shops, antique fairs or eBay. One of my favourite items is probably one of the strangest! 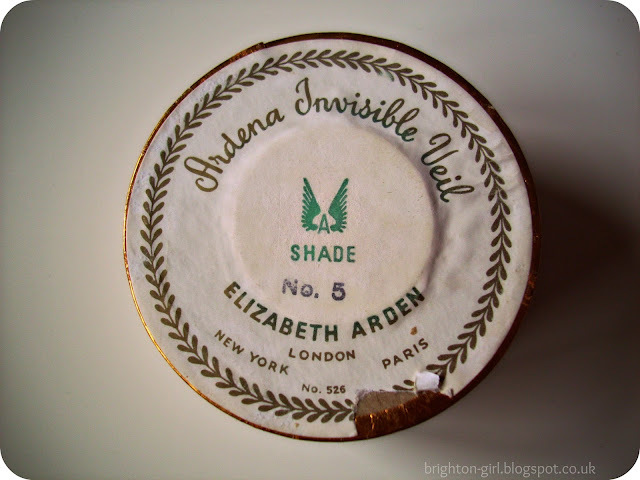 It's vintage Elizabeth Arden makeup, that fascinatingly has never even been used. What drew me to it was the brilliant packaging. 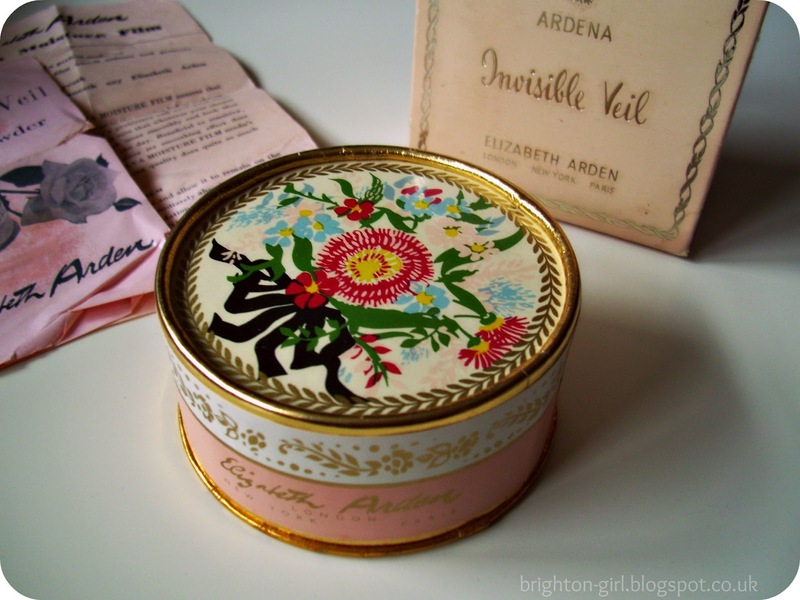 It's adorable and would have looked fantastic on a fancy dressing table. I managed to pick this up from a car boot sale for a couple of pounds. I'm such a packaging geek and this has to be one of all time favourites. I have a thing for woodland animals. Bunnies, foxes, deer...I love them. This has started to manifest itself in the beginnings of a collection of vintage deer. The smaller one I got recently at Vintage Nation, and the larger came from eBay. I love his little gold hoofs and long eyelashes. At the moment these little guys are living on my bedside table, but if I happen to bring home anymore I think I'm going to have to find a new home for them. How do you display your vintage collections? Last but not least is a gorgeous little print I picked up in Lewes. I fell for her instantly and just had to bring her home. Personally, I think she's the very image of one of Austen's Bennet sisters, but can't quite work out whether she's Jane or Elizabeth! What do you think? I'm in the process of redecorating my bedroom and picked up a vintage botanical print of a rose the other week which I'm sure I'll be sharing soon! 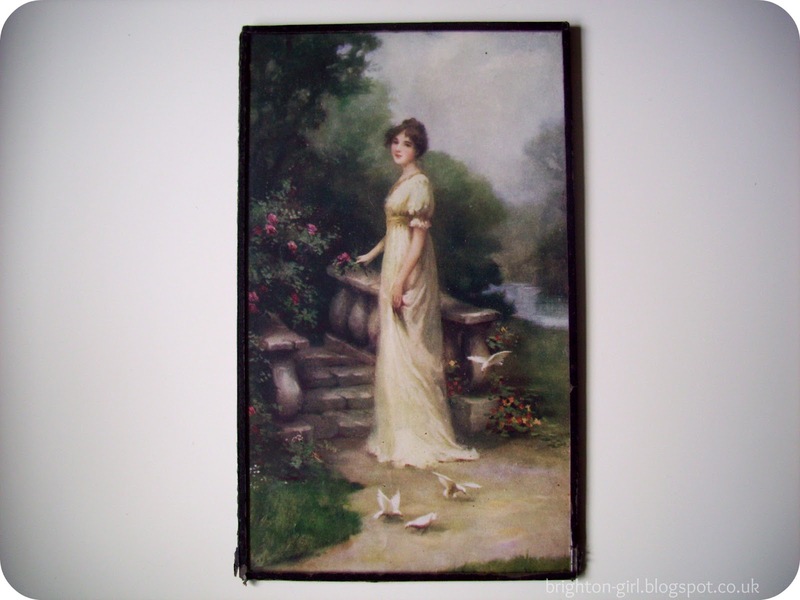 Are you a fan of thrifting for the home, or more a fan of vintage clothes? Gaaah, what gorgeous finds! 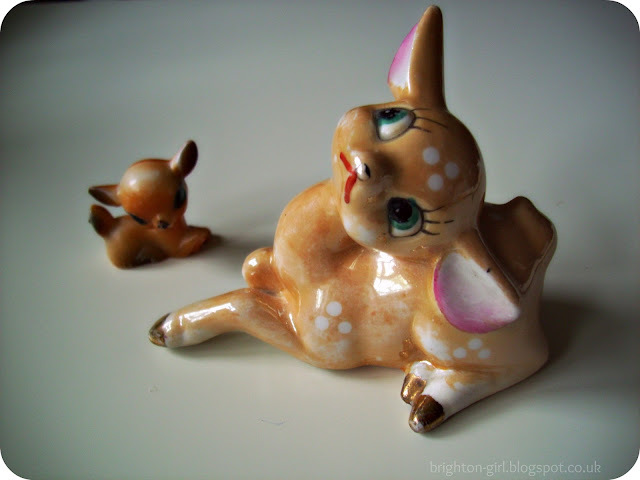 Love the powder pot & little deers, I'd have snatched them up too! XO.